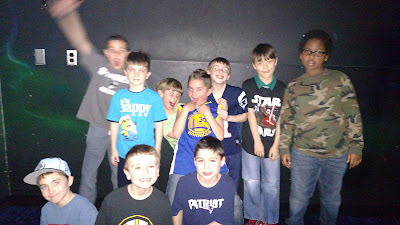 Richard had his 9th birthday party playing laser tag with a couple of the third grade boys. What a fun place! He is really lucky to have a great group of friends! It was also great to see his friend Finny who he started K1 with, but has since moved. Had a great visit from part of the California Justice cousins. Big cousin Bradley came out to visit MIT. Hope he picks it and we can go see some of his water polo matches! Just some hockey pictures of Richard and Angela playing hockey. 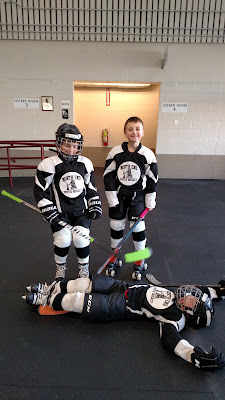 Richard LOVES it - both North End hockey and Charlestown (even though his Charlestown team did not have a winning season). Angela does too and tried out for the travel team next year. UGH! 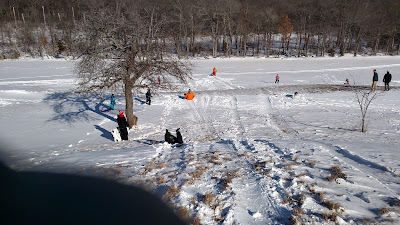 Our one and only sledding day of the year. Who knew we would have SO much snow last year and none this year. You can see the grass! 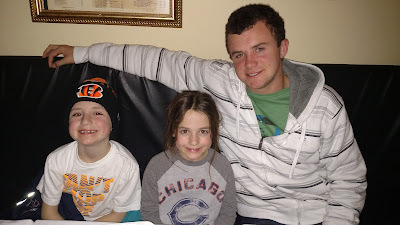 Happiest of birthdays to our cousin, nephew and godson Bradley!! We love you to the moon! 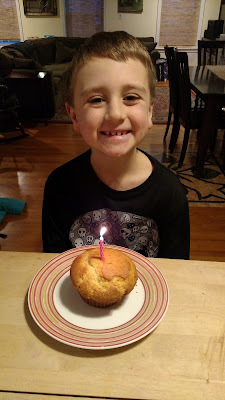 Happy birthday to my smart, caring determined little man! You amaze me every day with what you know (mostly about sports!) and how much love you have for your sister! I am glad to be on this wild ride with you - just remember how many practices and games we took you to when you are famous! This was certainly not the best ski season with the lack of snow, but we snuck in this Sunday day trip to Mt. Sunapee with Lisa! 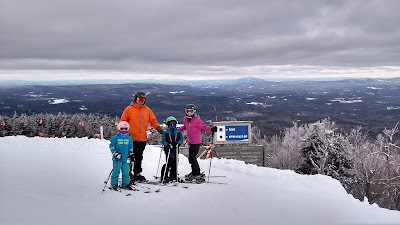 The kids are killing me with the black diamonds they ski! I can't keep up! 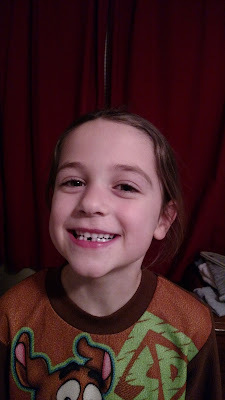 Look who lost another tooth! And good thing because the adult teeth were in down there. Couldn't let Cinderella pass without taking my baby! Last minute (expensive!!) tickets to the theater with Lisa. 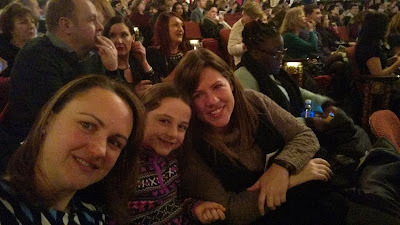 Fun night and since we usually don't have to spend a lot of money on theater tickets, well worth it to not miss this one! Had a great day celebrating Christmas and New Years with Bradley. 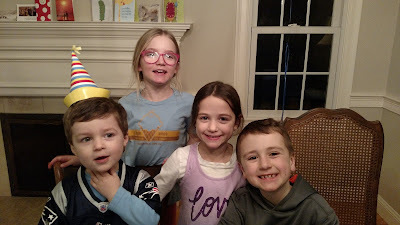 We exchanged gifts and had a blast with all of them. We got Bradley an XL one for his birthday and Christmas. 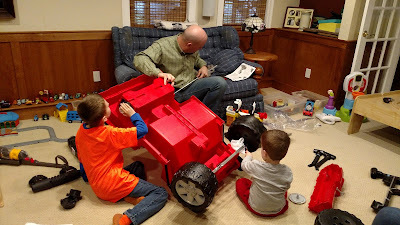 It took a while for Uncle to put it together, but he now rides it around the yard like a champ! Lots of laughs playing Pie Face - you can see from the pictures! Needless to say, Richard didn't like this game.